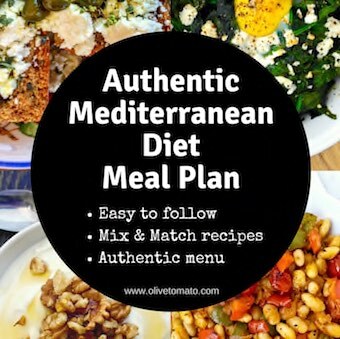 With these simple swaps based on the Mediterranean diet, you can improve your diet and health easily. Make these changes starting today. While they may not contain saturated fats, they do contain plenty of the polyunsaturated omega-6 fatty acids. The problem with that is that although omega-6 fatty acids are essential, we are getting too much of them and not enough omega-3’s. That is because the majority of processed products are made with corn oil or other vegetable oils. This type of fat is considered inflammatory and associated with obesity, metabolic syndrome and diabetes. More importantly though, all these oils do not contain antioxidants that olive has. Make sure you use Extra Virgin Olive Oil. And yes you can sauté and fry with it. In an effort to eat more vegetables, we often see them topped with plenty of unhealthy ingredients which defeats the purpose. Forget the butter and the melted cheddar cheese and cook your vegetables Greek style with tomato sauce and herbs. Not only are you reducing the saturated fats but you actually get an additional vegetable via the tomato sauce. Serve as a main course or as a side. More and more studies are showing that consumption of red meat increases the risk of heart disease, certain types of cancer and diabetes. Although the Mediterranean diet is low in meat in general, when you do decide to eat meat, choose free range chicken (organic preferably) cook it with lemon, garlic and oregano or as a stew with tomato. Baked potatoes are the typical accompaniment for meat loaded with sour cream and butter. Why not enjoy a baked potato with a drizzle of flavorful extra virgin olive oil topped with dollop of thick Greek yogurt. Transforming a typically unhealthy side to one with good fats and antioxidants. Creamy dressings often contain plenty of mayonnaise, cheese and not really anything healthy, plus they do not blend as easily in the salad. Make a dressing with a base of olive oil and vinegar and then add additional ingredients such as honey or mustard depending on the salad. 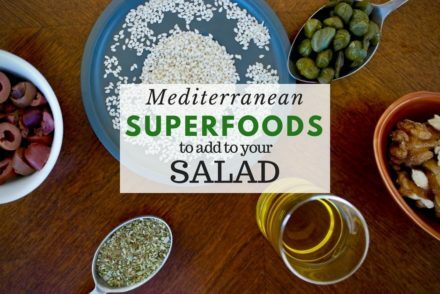 Not only is it healthier with the good fats from the olive oil, but you will need less of it. A study had shown that when using monounsaturated fats in your salad such as those found in olive oil, you only need a small amount to get the most antioxidant absorption, while saturated fat and polyunsaturated fat dressings required higher amounts to absorb the same amounts of antioxidants. But it’s fruit you say. Yes, many of these yogurts sound so healthy with all those added fruits, but unless it’s raw fruit in that yogurt, you are better off getting the plain kind. Avoid yogurt that contains sweeteners of any kind or any other ingredients. For Greek yogurts, avoid any that contain thickeners or gelatin. 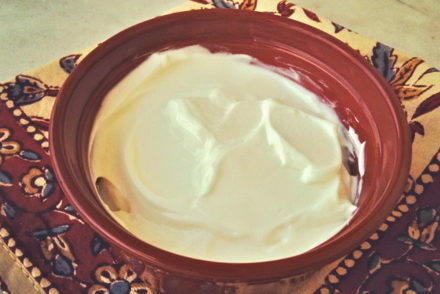 Look for yogurt with live cultures and if you find yogurt made from sheep’s milk, try it! It has more nutrients than cow’s milk yogurt. Have it with fresh fruit or nuts and a touch of honey. Good suggestions. I’m going to tell my heart doctor about your website. Totally agree about fruit yoghurt. In peach season, I breakfast on a fresh peach and full-fat Greek yoghurt (my go-to yoghurt is Fage Total). Works well with pears and strawberries, too. 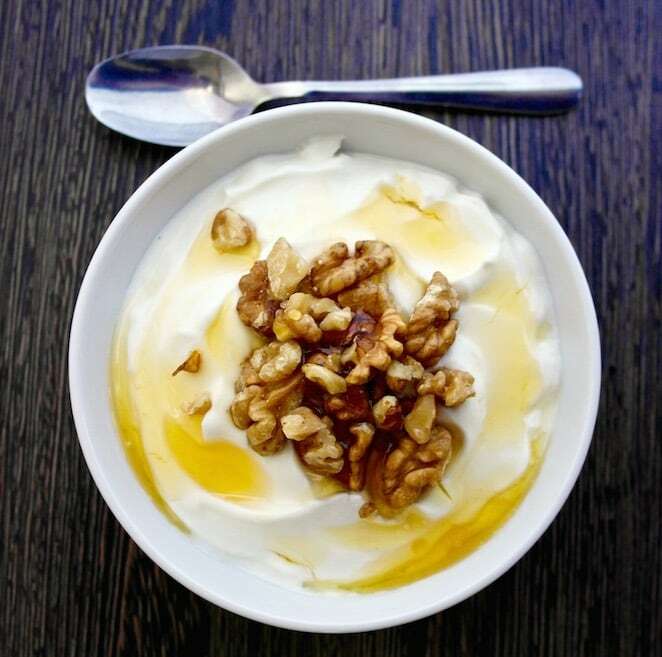 But I’ll admit that to traditional yoghurt and honey I prefer yoghurt and maple syrup. 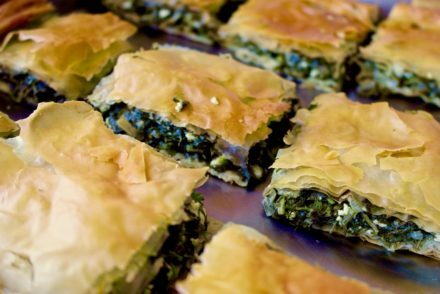 It’s the Greek-Canadian in me….